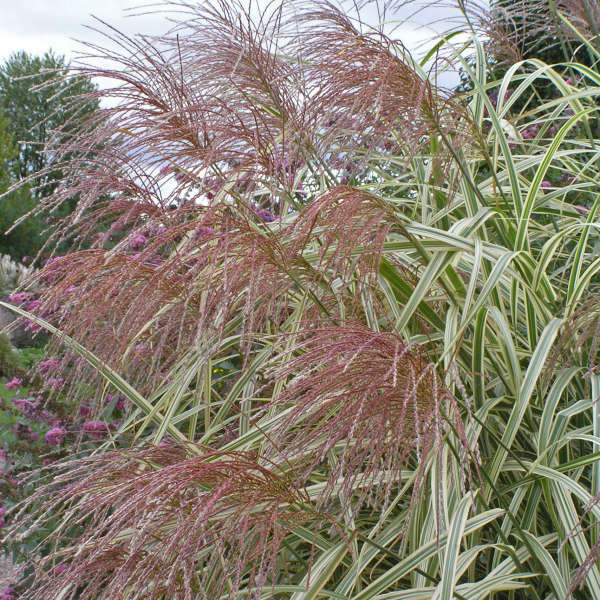 A popular antique variety of Miscanthus, this grass has been used in gardens since 1900. It is still one of the best varieties available for the white foliar effects it projects in the landscape. This grass appears to have a silvery glow from a distance. The leaves are green and white striped, with white being the predominant color. 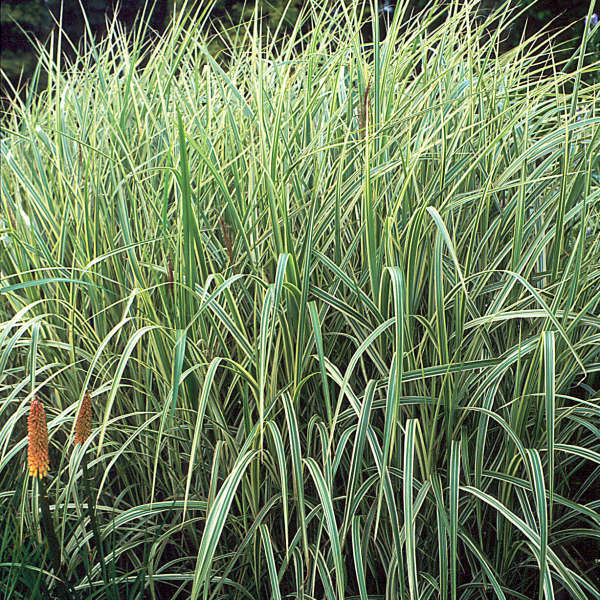 The habit is cascading and mature specimens sometimes need staking. Give this grass plenty of room to grow. 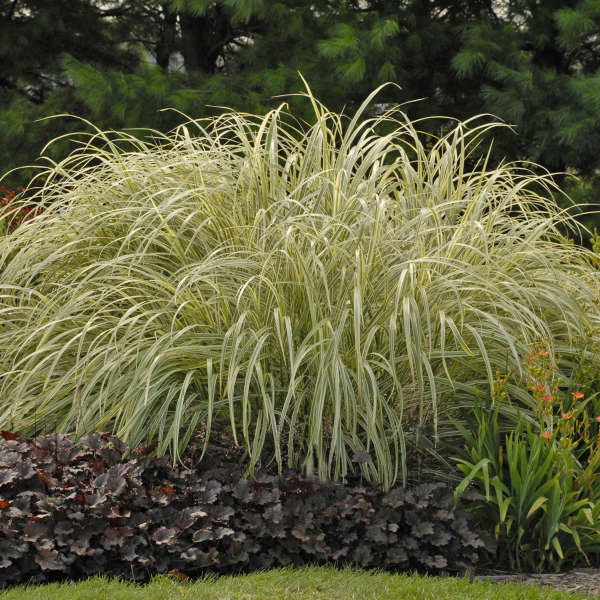 This grass requires a very long, hot growing season to be able to produce flowers. 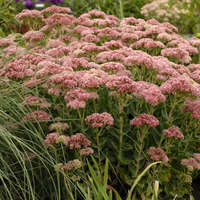 When it does, the plumes appear in early fall and open with strong red tints. As the seeds mature, they become fluffy, and are a great accent to the almond colored winter foliage.